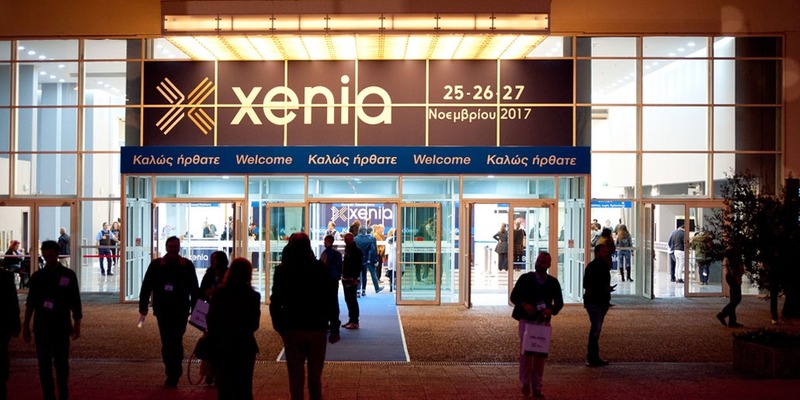 After three consecutive successful days (25-27 November), Xenia 2017 has closed its doors leaving a strong first impression. More than 30,000 trade visitors from 17,000 businesses of the hospitality sector toured the 45,000 sq.m. of the fair, consolidating its position as the premium exhibition the tourism industry was looking for. P. KOSTOPOULOS AEBE, one of the leader companies in the import and distribution of professional and household goods, chose OptinSpot to gather its visitors’ contact information and follow-up marketing actions. ELTOP, one of the most established brands in Greece in the field of postforming products and architectural decorative applications, has commissioned us to develop a modified version of OptinSpot, tailored to the needs of the Interwood Group. OptinSpot undertook the incorporation of the products of two companies in the group, ELTOP and DIPO, and sent emails depending on the choices of the interested visitors. The company has included OptinSpot in its core marketing tools and is going to use it in upcoming exhibitions in Greece and abroad. Cooking Hellas, which operates in Greece and imports Thermomix TM5, after successfully using OptinSpot to open its new office, decided to use it again at the XENIA exhibition. OptinSpot undertook the direct sending of informative emails to visitors while in front of the kiosk’s touch-screen.